Library of Congress Cataloging-in-Publication Data Lowenstein, Roger. 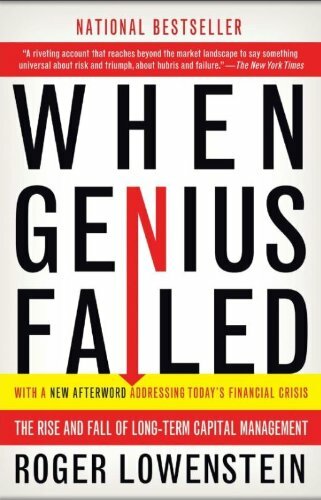 When genius failed : the rise and fall of Long-Term Capital Management / Roger Lowenstein. 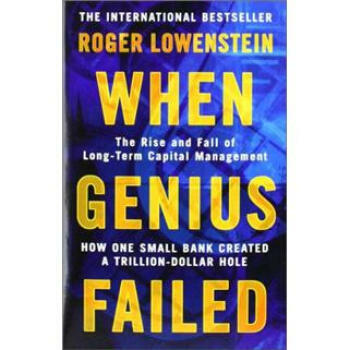 p.
Roger Lowenstein, author of the bestselling Buffett: The Making of an American Capitalist, reported for The Wall Street Journal for more than a decade, and wrote the Journal's stock market column "Heard on the Street" from 1989 to 1991 and the "Intrinsic Value" column from 1995 to 1997. Roger Lowenstein reported for The Wall Street Journal for more than a decade. He wrote the Journal 's "Heard on the Street" column from 1989 to 1991 and the "Intrinsic Value" column from 1995 to 1997.